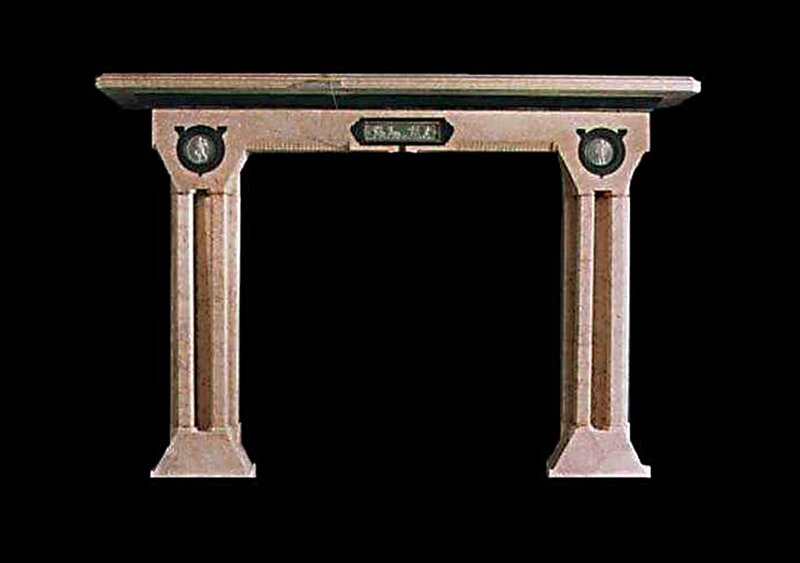 A striking late 19thc. 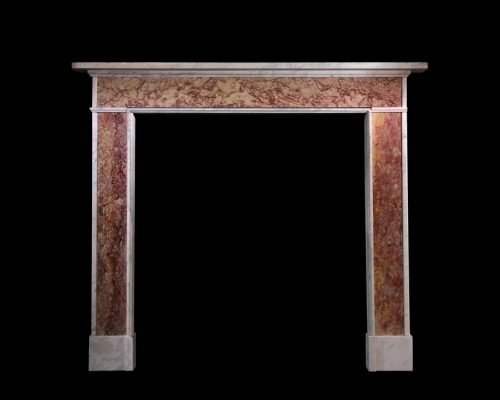 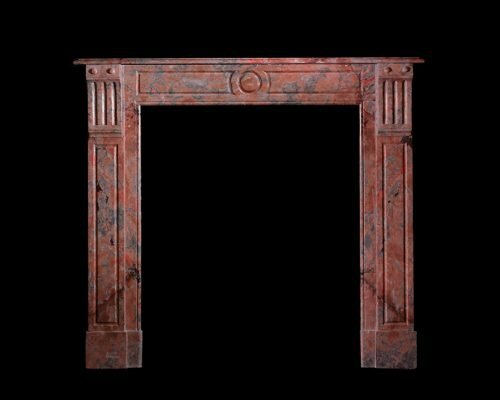 “Aesthetic Movement” chimneypiece in Crema Valancia marble. 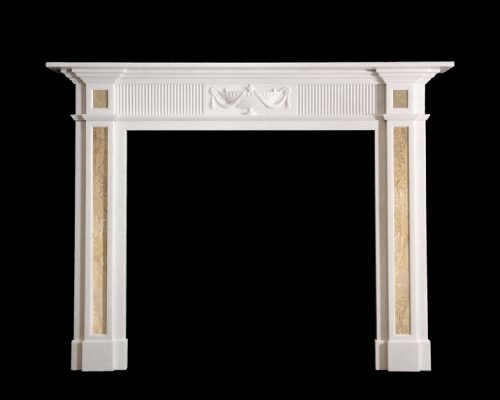 The tapered footblock supporting twin octagonal columns.The frieze centered with a rectangular neo-classical plaque of pale green Wedegwood Jasperware.